At Susan G. Komen Orange County, we are committed to supporting community programs and research that will one day identify and deliver the cures for breast cancer. Our work is helping accelerate advances and fund research across the globe, but there is still more work to be done to educate the community and extend the fight to end breast cancer. Supporting the future of Susan G. Komen Orange County strengthens the hard work that we do in our communities. Take a look at the gift options below to explore ways that you can create your legacy of hope. An immediate charitable income tax deduction for the full value of your gift up to 50 percent of your adjusted gross income, when you itemize. Let us know if you would like to direct your gift to a particular program or if you would like us to use your gift for our most pressing needs. Obtain a written acknowledgement of your contribution from us and keep it for your records. 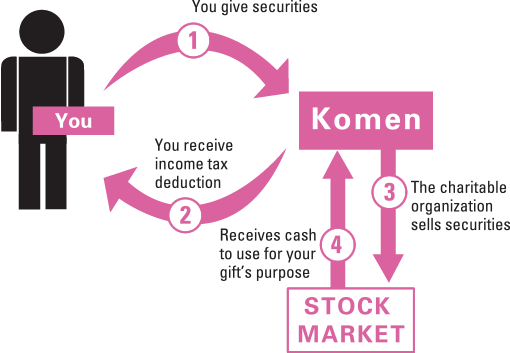 Save in Taxes this Year: If you would like to support Susan G. Komen Orange County with a tax-smart donation this year, a gift of appreciated stocks, bonds or other marketable securities that you have held for more than one year may be just the right gift for you. You will be exempt from paying capital gains taxes on any increase in the value of the securities since you acquired them–taxes you would pay if you had otherwise sold them. If you have the physical securities, either hand-deliver them to us or mail us the stocks and stock power separately. If you don’t have possession of the physical securities, instruct your broker to electronically transfer your intended shares and notify us once the transfer is complete. 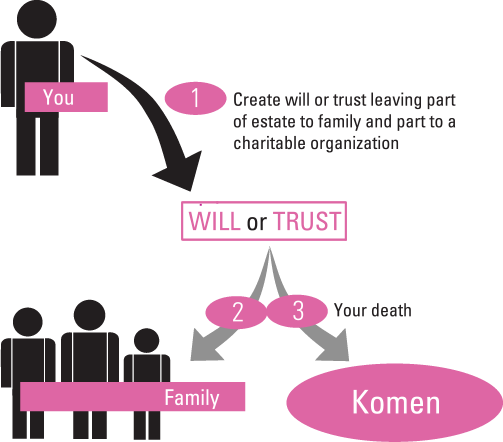 One of the easiest and most popular ways to make an impact at Susan G. Komen Orange County is to include a gift in your will or living trust. This popular gift option allows you to leave a legacy of hope to support research and community programs without affecting your cash flow today. With a gift in your will or trust, you can give a percentage of your estate, so that your gift will remain proportionate to the size of your estate, or you can give a certain amount of cash, securities or property. Either way, your gift allows you to retain full control of your assets now, while ensuring that Susan G. Komen Orange County will continue to have a real impact against breast cancer far into the future. Why Should You Choose a Gift in Your Will or Trust? Easy. A few sentences in your will or living trust complete the gift. Versatile. You can bequeath a specific item, an amount of money, a gift contingent upon certain events or, most common, a percentage of your estate. Tax-wise. Your estate is entitled to an unlimited estate tax charitable deduction for gifts to qualified charitable organizations such as ours. Determine whether you’d like to make a gift of a specific amount or leave a percentage of your estate, and whether you would like to direct your gift to a specific program or leave your gift unrestricted, allowing it to be used for our most pressing needs. 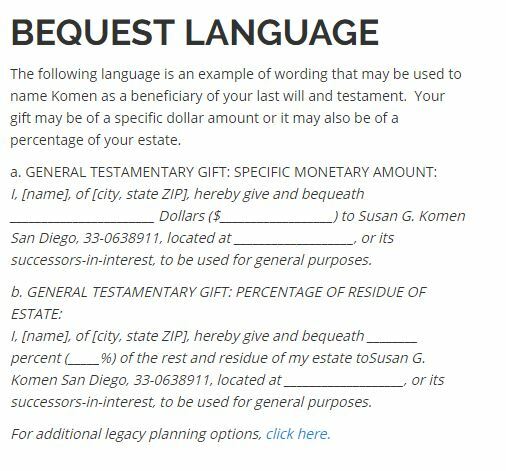 Take our bequest language to your estate planning attorney to include in your will or living trust. Contact TBD at Susan G. Komen Orange County to inform us of your gift and to provide a copy of the relevant portion of your will or trust outlining your wishes so that we may ensure that you are properly thanked in your lifetime and that your gift will be fulfilled in the manner which you intend for it. While 401(k)s, IRAs and other retirement plans are excellent vehicles for accumulating assets for your use during retirement, much to many people’s surprise, they are a far less attractive way to pass an inheritance to loved ones. Here’s why. Retirement plan assets are subject to heavy income and possible estate taxes when you name anyone other than your spouse as a beneficiary. These taxes can deplete a significant percentage of your hard-earned savings–leaving less for heirs than you had hoped. 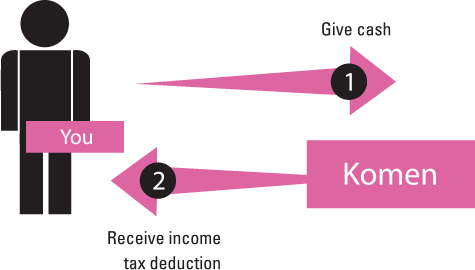 If you would like to include a gift to help children and families through your estate, consider the tax-smart strategy of naming Susan G. Komen Orange County the beneficiary of all or a portion of your retirement plan assets and leaving other less-taxed assets to your heirs. Because of our tax-exempt status, income and estate taxes are eliminated, allowing the full value of your retirement plan assets to support our work to save lives and end breast cancer forever. Contact your retirement plan administrator for a simple change-of-beneficiary form. Decide what percentage (1–100) you would like us to receive. Name Susan G. Komen Orange County and the gift percentage on the form. Contact us to let us know of your plans. If you would like to have a real impact against breast cancer with a substantial gift with little cost to you, a gift of life insurance may be right for you. 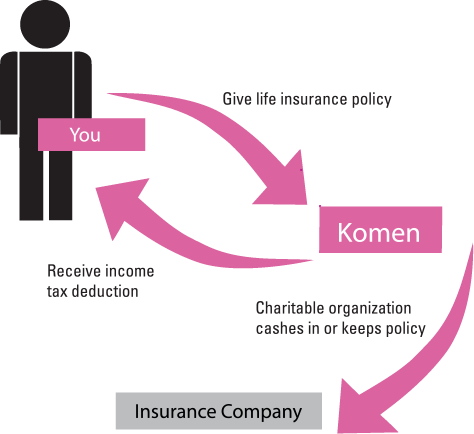 Name us as the primary beneficiary for a percentage of the policy. Name us as the contingent beneficiary to receive benefits only if your primary beneficiary predeceases you. Transfer ownership of an existing policy. Purchase a new policy and name us as the owner.